1. Gelvin S.B. Agrobacterium-mediated plant transformation: The biology behind the “genejockeying” tool // Microbiol. Mol. Biol. Rev. 2003. Vol. 67. N 1. P. 16–37. 4. Kerr A., Panagopoulos C.G. Biotypes of Agrobacterium radiobacter var. tumefaciens and their biological control // J. Phytopathol. 1977. Vol. 90. N 2. P. 172–179. 5. Ophel K., Kerr A. Agrobacterium vitis sp. nov. for strains of Agrobacterium biovar 3 from grapevines // Int. J. Syst. Bacteriol. 1990. Vol. 40. N 3. P. 236–241. 6. Mousavi S.A, Osterman J, Wahlberg N., Nesme X., Lavire C., Vial L., Paulin L., de Lajudie P., Lindstrom K. Phylogeny of the Rhizobium-Allorhizobium-Agrobacterium clade supports the delineation of Neorhizobium gen. nov // Syst. Appl. Microbiol. 2014. Vol. 37. N 3. P. 208–215. 7. Ramírez-Bahena M.H., Vial L., Lassalle F., Diel B., Chapulliot D., Daubin V., Nesme X., Muller D. Single acquisition of protelomerase gave rise to speciation of a large and diverse clade within the Agrobacterium/Rhizobium supercluster characterized by the presence of a linear chromid // Mol. Phylogenet. Evol. 2014. Vol. 73. P. 202– 207. 8. Slater S.C., Goldman B.S., Goodner B. et al. Genome sequences of three agrobacterium biovars help elucidate the evolution of multichromosome genomes in bacteria // J. Bacteriol. 2009. Vol. 191. N 8. P. 2501–2511. 9. Szegedi E. Opines in naturally infected crown gall tumors // Vitis. 2003. Vol. 42. N 1. P. 39–41. 10. Haas J.H, Moore L.W., Ream W., Manulis S. Universal PCR primers for detection of phytopathogenic Agrobacterium strains // Appl. Environ. Microbiol. 1995. Vol. 61. N 8. P. 2879– 2884. 11. Матвеева Т.В., Богомаз Д.И., Лутова Л.А. Способ диагностики биоматериалов на наличие в них агробактерий. Патент РФ на изобретение № 2458142. Дата публ. : 10.08.12. Бюл. №22/12. 12. Puławska J., Willems A., Sobiczewski P. Rapid and specific identification of four Agrobacterium species and biovars using multiplex PCR // Syst. Appl. Microbiol. 2006. Vol. 29. N. 6. P. 470–479. 13. Sawada H., Ieki H., Matsuda I. PCR detection of Ti and Ri plasmid from phytopathogenic Agrobacterium strains // Appl. Environ. Microbiol. 1995. Vol. 61. N 2. P. 828– 831. 14. Suzaki K., Yoshida K., Sawada H. Detection of tumorigenic Agrobacterium strains from infected apple saplings by colony PCR with improved PCR primers // J. Gen. Plant. Pathol. 2004. Vol. 70. N 6. P. 342–347. 15. Bini F, Kuczmog A., Putnoky P. Novel pathogen-specific primers for the detection of Agrobacterium vitis and Agrobacterium tumefaciens // Vitis. 2008. Vol. 47. N 3. P. 181–190. 16. Eastwell K.C., Kenneth C., Leslie Willis G., Cavileer D.T. A rapid and sensitive method to detect Agrobacterium vitis in grapevine cuttings using the polymerase chain reaction // Plant Dis. 1995. Vol. 79. N 8. P. 822–827. 17. Herlache T.C., Hotchkiss A.T., Burr T.J., Collmer A. Characterization of the Agrobacterium vitis pehA gene and comparison of the encoded polygalacturonase with the homologous enzymes from Erwinia carotovora and Ralstonia solanacearum // Appl. Environ. Microbiol. 1997. Vol. 63. N 1. P. 338–346. 18. Kawaguchi A., Sawada,H., Inoue, K., Nasu H. Multiplex PCR for the identification of Agrobacterium biovar 3 strains // J. Gen. Plant Pathol. 2005. Vol. 71. N 1. P. 54–59. 19. Lim S.H., Kim J.G., Kang H.W. Novel SCAR primers for specific and sensitive detection of Agrobacterium vitis strains // Microbiol. Res. 2009. Vol. 164. N. 4. P. 451–460. 20. Canaday J., Gerard J.C., Crouzet P., Otten L. Organization and functional analysis of three T-DNAs from the vitopine Ti plasmid pTiS4 // Mol. Gen. Genet. 1992. Vol. 235. N 2–3. P. 292–303. 21. Szegedi E., Bottka S. Detection of Agrobacterium vitis by polymerase chain reaction in grapevine bleeding sap after isolation on a semiselective medium // Vitis. 2002. Vol. 41. N 1. P. 37–42. 22. Szegedi E., Bottka S., Mikulás J., Otten L., Sule S. Characterization of Agrobacterium tumefaciens strains isolated from grapevine // Vitis. 2005. Vol. 44. N 1. P. 49–54. 23. Bini F., Geider K., Bazzi C. Detection of Agrobacterium vitis by PCR using novel virD2 gene-specific primers that discriminate two subgroups // Eur. J. Plant Pathol. 2008. Vol. 122. N 3. P. 403–411. 24. Argun N., Momol M.T., Maden S., Momol E.A., Reid C.L., Celek H., Burr T.J. Characterization of Agrobacterium vitis strains isolated from Turkish grape cultivars in the Central Anatolia region // Plant Dis. 2002. Vol. 86. N 2. P. 162–166. 25. Lamovšek J., Zidarič I., Pleško I.M., Urek G., Trdan S. Comparative study of diagnostic methods used for monitoring of common grape vine (Vitis vinifera L.) crown gall (Agrobacterium vitis Ophel & Kerr) in Slovenia // Acta Agric. Slov. 2015. Vol. 103. N 2. P. 313–321. 26. Genov I., Atanassov I., Tsvetkov I., Atanassov A. Isolation and characterization of Agrobacterium strains from grapevines in Bulgarian vineyards and wild grapes, V. vinifera ssp. Silvestris // Vitis. 2015. Vol. 45. N 2. P. 97– 101. 27. Winans S.C., Allenza P., Stachel S.E., McBride K.E., Nester E.W. Characterization of the virE operon of the Agrobacterium Ti plasmid pTiA6 // Nucleic Acids Res. 1987. Vol. 15. N 2. P. 825–837. 28. Tolba I.H., Zaki M.F. Characterization of Agrobacterium vitis isolates obtained from galled grapevine plants in Egypt // Ann. Agric. Sci. 2011. Vol. 56. N 2. P. 113–119. 29. Kuzmanović N., Gašić K., Ivanović M., Prokić A., Obradović A. Identification of Agrobacterium vitis as a causal agent of grapevine crown gall in Serbia. Arch. Biol. Sci. 2012. Vol. 64. N 4. P. 1487–1494. 30. Rouhrazi K., Rahimian H. Characterization of Iranian grapevine isolates of Rhizobium (Agrobacterium) spp. // J. Plant Pathol. 2012. Vol. 94. N 3. P. 555–560. 31. Filo A., Sabbatini P., Sundin G.W., Zabadal T.J., Safe G.R., Cousins P.S. Grapevine crown gall suppression using biological control and genetic engineering: a review of recent research // Am. J. Enol. Vitic. 2013. Vol. 64. N. 1. DOI 10.5344/ajev.2012.12038. 32. Doyle J.J., Doyle J.L. A rapid DNA isolation procedure for small quantities of fresh tissue // Phytochem. Bull. 1987. Vol. 19. P. 11– 15. 33. Makarkina M.V., Ilnitskaya E.T., Stepanov I.V. Identification of Agrobacteria on grape plants with symptoms of crown gall lesions in ampeloсenosises of Krasnodar Territory using the PCR method // Russ. Agric. Sci. 2017. Vol. 43. N 5. P. 402–405. 34. Макаркина М.В., Ильницкая Е.Т. Определение латентной стадии бактериального рака винограда методом полимеразной цепной реакции // Научные труды Северо-Кавказского федерального научного центра садоводства, виноградарства, виноделия. Т. 13. Краснодар, 2017. С. 100–104. 35. 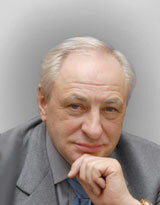 Ignatov A.N., Khodykina M.V., Vinogradova S.V., Polityko V.A., Kornev K.P., Mazurin E.S. First report of Agrobacterium vitis causing crown galls of wine grape in Russia // Plant Dis. 2016. Vol. 100. N. 4. P. 853. Макаркина М.В., Ильницкая Е.T., Токмаков C.В. ПЦР-ИДЕНТИФИКАЦИЯ ПАТОГЕННЫХ АГРОБАКТЕРИЙ, ВЫЯВЛЕННЫХ НА ВИНОГРАДНИКАХ КРАСНОДАРСКОГО КРАЯ, ПО ТИПУ СОДЕРЖАЩИХСЯ В НИХ Ti-ПЛАЗМИД. Вестник Московского университета. Серия 16. Биология. 2019;74(1):50-58.